Nous avons pris contact avec Philippe Roussel, l’un des Beta testeurs TIMEZERO. Philippe Roussel a travaillé pendant plus de 25 ans chez un leader mondial dans la fabrication d’instruments pour la course au large. A ce titre, il a effectué les essais de compatibilité de nos logiciels avec des instruments spécifiques à la course au large, utilisant notre logiciel pour gagner les régates les plus ardues. Ce mois-ci la plaisance a pris le pas sur le compétition. Quelle est la dernière route sur laquelle TIMEZERO vous a accompagné ? Nous sommes partis de LOCMIQUELIC (près de Lorient) et avons fait escales à Muxia, Porto, Lisbonne puis Madère. Nous visitons Madère et Porto Santo. Nous remontons la semaine prochaine via Cadix, Portimao, Sines, Lisbonne, Figuera Da Foz, Viana Do Castelo, Pontevedra, La Corogne puis retour à LOCMIQUELIC. Tous les ans nous organisons une croisière de printemps avec des copains pour découvrir du pays. Cette année nous avions envie de découvrir Madère. Le choix à d’abord était professionnel. Puis pour avoir navigué avec TZ, j’ai beaucoup apprécié. Comment s’est passé l’installation du materiel ? Très bien et très rapidement, aucun problème. Avez-vous eu l’occasion de comparer TIMEZERO avec d’autre logiciels, en quoi se distingue-t’il ? Oui, la fluidité du zoom est excellente, le routage très utile à la voile est pertinent et beaucoup d’informations sont disponibles (météo, courant..) c’est un logiciel très convivial. Pourquoi est-il important d’avoir un logiciel pour la navigation de plaisance ? Le logiciel de navigation facilite énormément la navigation sur un voilier, une fois que l’on a goûté à ça il est difficile de s’en passer. Merci & bonne navigation ! 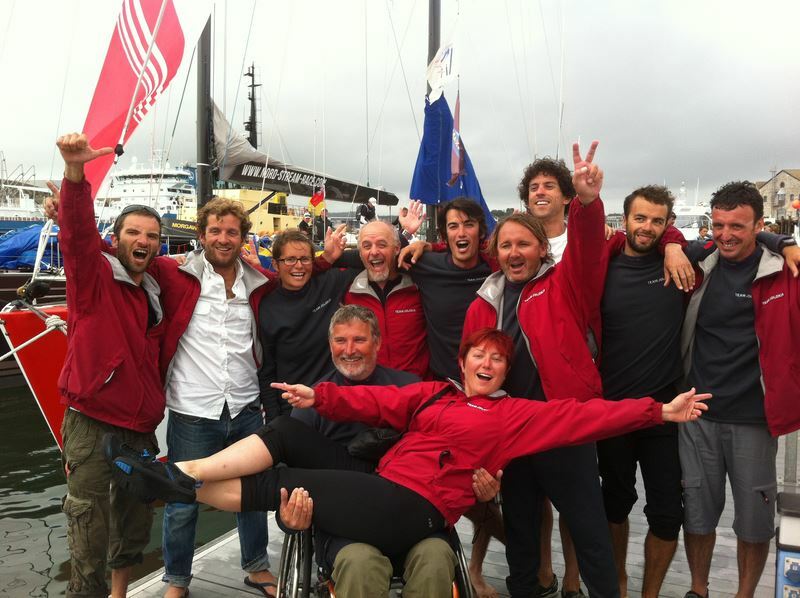 The ‘Sailing Doctor’ returns to our blog! This week Dr. Jean-Yves Chauve gives us advice on what type of food to eat while sailing. You may have already heard of Dr. Chauve as he is well-known for specializing in providing remote medical assistance to sailors and boat racers. He has been involved in several high-profile cases in which he aided racers via telephone to avoid dangerous health situations. When at sea, we use a lot of energy. The constant motion of the boat, the wind and maneuvering a sailboat may require nearly 5,000 calories in 24 hours. To compensate for these losses it is very important to eat enough . This is not always easy especially when you are feeling seasick, or when weather conditions make it impossible to cook. However, freeze-dried meals such as those eaten by offshore racers will make it easier to eat hot food. Just boil water in a kettle, pour the hot water into the bag and wait a few minutes for the food to re-hydrate. Sandwiches provide a good amount of energy and are well-balanced. When each sailor takes it in turn to navigate, it is best to eat at the end of your shift before going to bed. Calories used for digestion are also included in the amount of energy needed each day and eating at the end of the day will make food energy available to the muscles when you wake. Avoid eating simple sugars such candy bars, as much as possible. Contrary to advertising, they rather promote sleep and can actually make you feel drowsy. Finally, remember that you should drink water regularly throughout the day. With the wind and sun, dehydration can creep up on you unexpectedly and affect the physical and mental abilities. Last November, the well-known French doctor Jean-Yves Chauve gave us advice on how to combat seasickness onboard. This week, he is back with more useful advice about the importance of adequate sleep, especially for racers. 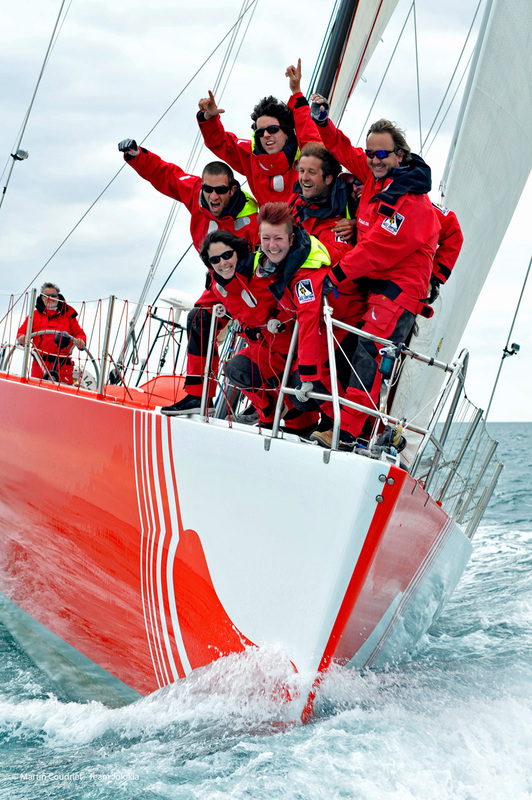 Dr. Chauve is a doctor who specialises in providing remote medical assistance to sailors and boat racers. He was involved in several high-profile cases in which he aided racers via telephone to avoid dangerous health situations. Offshore racers know this from experience: Sleep is a necessity to maintain vigilance. It is imperative for assuring good security and your own physical performance. Tests have proven that after 16 hours without sleep, your level of drowsiness is equivalent to a BAC of 0.5 g. This means that your level of concentration is substantially impaired. It is therefore very important to have regular periods of sleep when navigating. To sleep effectively, you must be aware that throughout the day, there are times when one is predisposed to sleep. Yawning is a sign that the body sends to indicate that it is ready to sleep. This is the moment when you should try to sleep or take a nap. Sleep duration depends on the constraints of navigation. The ideal length would be to sleep for one a complete sleep cycle, which is from 30 minutes to 2 hours. Otherwise, it can be useful to take short naps for 20 to 30 minutes. Napping regularly can be very effective for a few days. If napping is not possible, then there is the final option of “flash” naps, consisiting of just a few seconds of sleep. When “real” sleep is impossible, this brief disconnection can allow the brain to de-stress, which is very important when engaging in such a physically demanding activity as navigating. No matter what, make it a priority to get at least some sleep while onboard. Otherwise your judgement and physical ability will be significantly impaired.